Home / Posts tagged "Iceland photo tour"
Private Photography Tours Iceland is maybe all you have thought about and wanted on a trip to Iceland. We at Photo Tours in Iceland are here to help you plan your photography tour and guide you through it. To have Private Photography Tours in Iceland for Photography and even Droneography can make your life much easier. Helping everybody is our passion because photography is both for beginners as well as for professionals. We do only private photography tours as we think you will get more out of it. Our customer can vary from two to four. No more. Iceland is the country in which we were born. We do know our country and are very willing to share with you. Iceland is our passion as is photography and has been for many decades. Sharing our knowledge on photography and our land is something we love. Experienced licensed guides with passion are at your service. All tours are Private Photography Tours. We have on our web some tours to choose from. From one day to eight days or more. They are seasonal to get the most out of the nature when there is birdlife, the fall colours or the mountains and glaciers are both in the winter season and summer season. 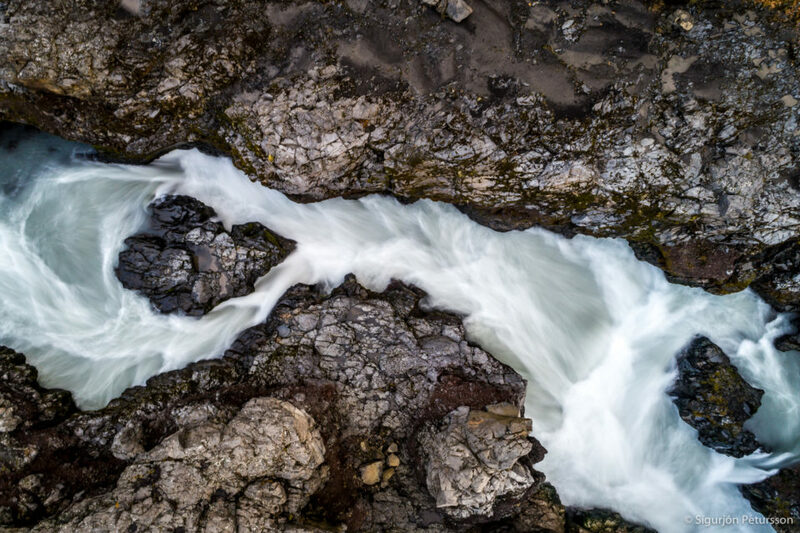 The image above is taken from a drone at the Hraunfossar waterfalls in Iceland. We have visited these waterfalls and rivers for a number of years but always observing them from the ground. Seeing things from the air gives a completely different perspective. Lines and impressions change completely. All this opens up a new world of vision and composition. The drone gives an opportunity to apply , shadows, leading lines, rules of thirds etc. etc. in a new and exciting way. Colours and patterns get a new meaning and possibilities. As a result is a new and exciting space of creativity. Contact us. Let’s have fun together. Unspoiled waterfalls are symbols of Iceland. Iceland is only 103.000 square kilometres. The small population of 340.000 makes it one of the most sparsely populated country on the planet. Therefore Iceland has huge areas in the highlands that have no inhabitants at all. We must keep our guard protecting the environment. Especially in this day and age with increased pollution and overpopulation. Iceland is unusually well suited for waterfalls. This small island country has a north Atlantic climate that produces frequent rain and snow. In addition its near-Arctic location produces large icecaps and glaciers. These feed summer melts to the many rivers. Most of the water falls of the highland plateau. 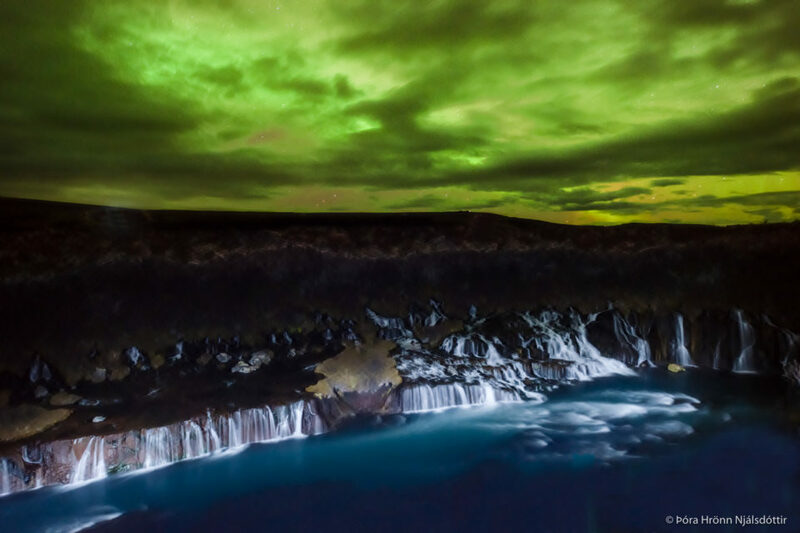 As a result, it is home to a number of large and powerful waterfalls Some of the most famous ones are Gullfoss, Skogafoss, Seljalandsfoss, Godafoss, Dettifoss, Öxararfoss, Hraunfossar, Svartifoss etc. Strong women have always lived in Iceland. Some of the leaders of the families that settled the country in the ninth and tenth century were women. Audur djupudga was the most famous one. A strong willed lady was Sigridur in Brattholt. She saved the Gullfoss waterfall from being destroyed by a hydroelectric dam. Therefore Icelanders are greatful to her as they consider Gullfoss to be one of our most beautiful waterfalls. Others that have fought for the protection of our land’s nature to name just a few are our former lady president Vigdís Finnbogadóttir as well as Björk our pop star. As a result of the above let us hope there will be more strong women in the future protecting our nature. We organise private exclusive tours for our customers. Select a tour from the tours we post on our page. Then we can change it in accordance with your vision and wishes. So come with us on a tour exploring the unspoiled waterfalls. Contact us. Reykjavik Marathon 2017 is an excellent opportunity to photograph people. In my opinion there is nothing more beautiful than photographing people with a flash. It takes some practice as with everything else. The Reykjavik Marathon (Icelandic: Reykjavíkurmaraþon) is set annually in Reykjavik, Iceland. 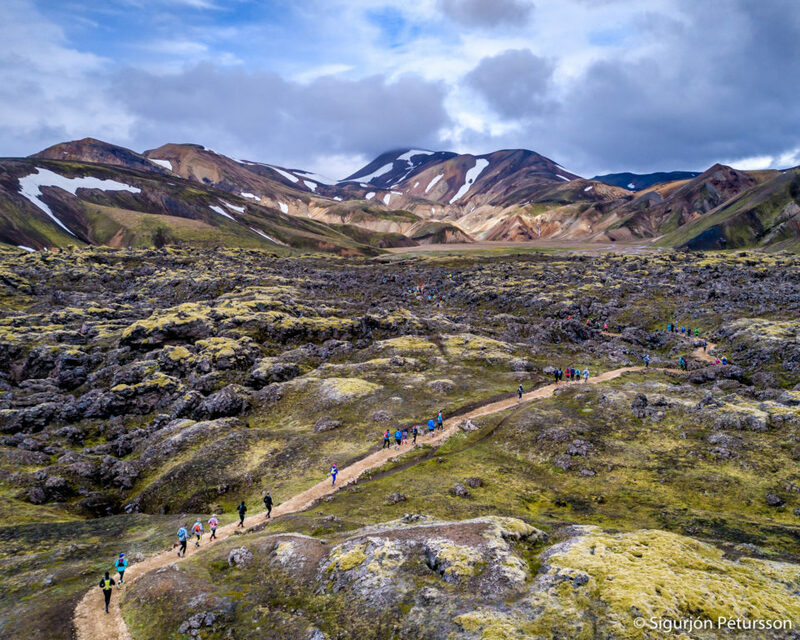 The Reykjavik Marathon is held to coincide with the city’s Cultural Night Festival in mid-August. The run has taken place every year since 1984. Along with the full marathon, a half marathon and several races of shorter distances are arranged. Almost 15.000 runners participated in 2017 coming from more than 80 nations. Many members of our family have participated over the years. 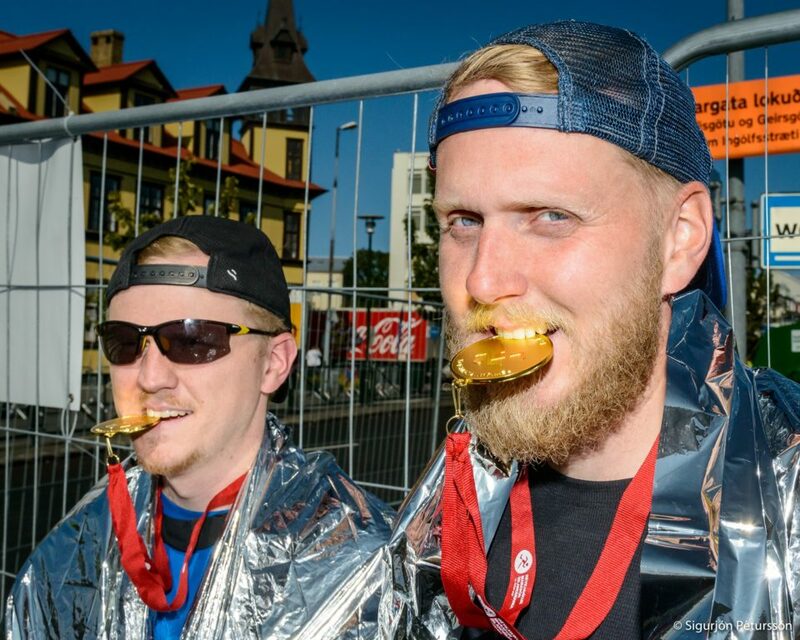 This year was special as our son-in-law Ásgeir was running his first full Marathon. Sports photography is different from landscape photography. Mountains stand still but runners are moving. In landscape photography we can choose the hour of the day like the golden hour. Photographers have no control over when the run takes place. Therefore focusing, shutter speed etc. are different. One way to freeze action is to use flash. It also opens up shadows in harsh sunlight and makes for crisper photographs. This photo I took of our son-in-law and his brother after finishing the run. Both very proud and in high spirits with their medals. Come, photograph and enjoy. Contact us. 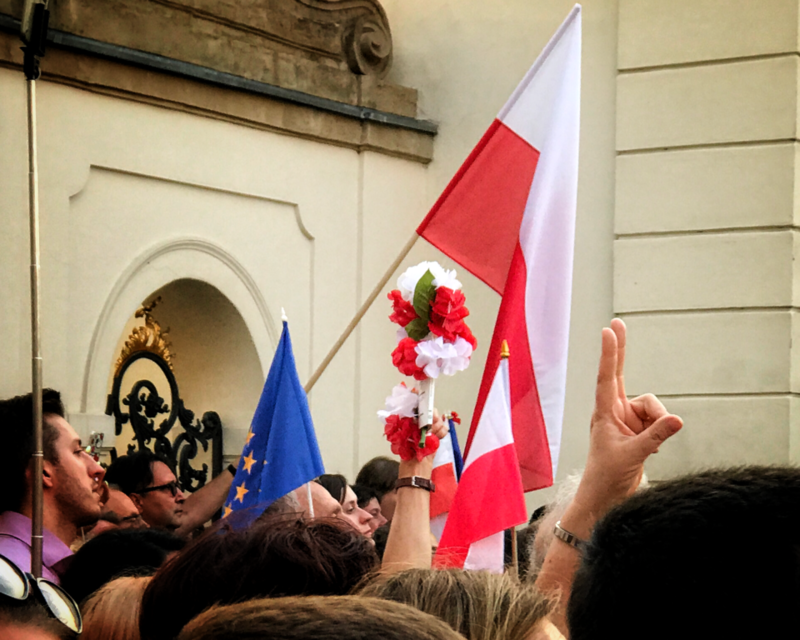 There were tens of thousands of people taking part in the “Coup against the Constitution” in Protest Warsaw Poland last night. People were singing and repeating words that we did not understand holding candles and flowers in their hands. Our hearts really went out for them. It reminded us that not so long ago people in Iceland were also protesting as the government did not do do their job. People came from all over Iceland and gathered in front of the Þinghúsið – House of Parliament banging all kinds of kitchenware for weeks. We are a tour operator that operate tours to Landmannalaugar. The Faxi waterfall in south Iceland is in our opinion one of the more beautiful waterfalls in the country. Because it is in the lowlands it is very accessible. The main road lying just 50 meters away from the waterfall. As a result of this it can almost be photographed without stepping out of the vehicle. Due to this it receive many visitors. We are tour operators. So come with us on our Golden Circle Tour we visit waterfalls. 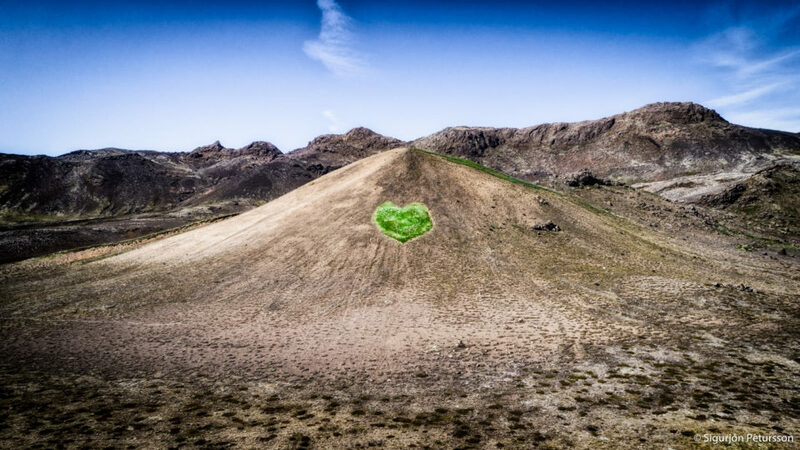 When you visit Iceland you might find The Love Mountain Iceland. You don’t have to drive far to photograph interesting Lakes, Mountains and Hot Springs. In the picture you see a Mountain with a green heart in it. We call this beautiful mountain “The Mountain of Love” because of the heart shaped green gras that has been planted on it. The drive over there is only 20 minutes from our hometown, which is the reason we go there very often. The area is called Krysuvik. There is a large lake there called Kleifarvatn as well as hot spring with boiling water as well as beautiful colours. We often drive there with our customers because this place is both beautiful and picturesque. If you want to get engaged or married we will take you there for a unique photoshoot. This picture is shot on a beautiful sunny day last week, driving through the spectacular landscape of mountains, lakes and geysers. We are a tour operator for photography tours. Come join us. The Three Arch Rocks provide habitat for Oregon’s largest breeding colony of tufted puffins. These are flamboyant birds with their large bright orange beaks and long yellow head tufts. As a result they are one of the most recognisable seabirds on the Oregon coast. Designated as the first National Wildlife Refuge west of the Mississippi River. Three Arch Rocks National Wildlife Refuge lies offshore of the community of Oceanside. 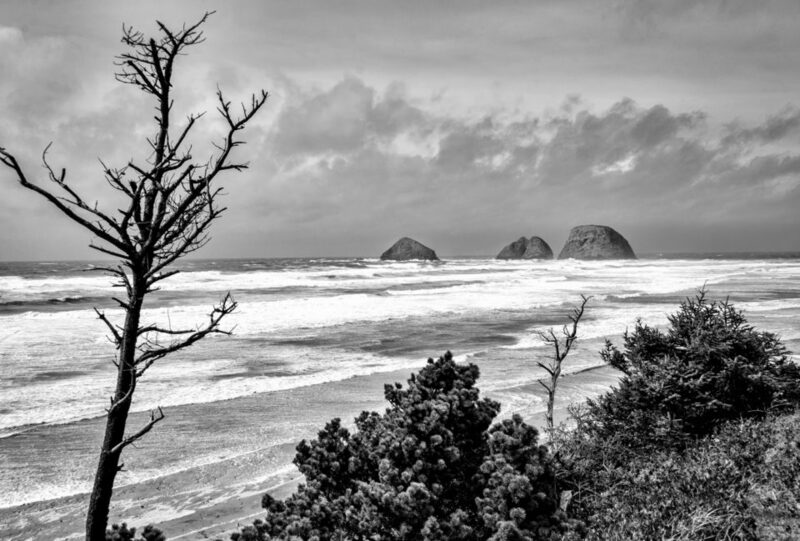 One of the Oregon coast’s best-known landmarks. The refuge consists of three large and six smaller rocks totalling 15 acres. The refuge is one of the smallest designated Wilderness Areas in the country. We are now bicycling from Vancouver, Canada to San Diego, California. This is a bit different than Photo touring in Iceland our home country. We are a touring company offering Photo Tours in Iceland. So come join us on a tour when we get back. Right now the wind is calm in Winter Wonderland. The stars are bright and our spirits are high in the highlands of Iceland. We sometimes do not call our country Iceland but Niceland. 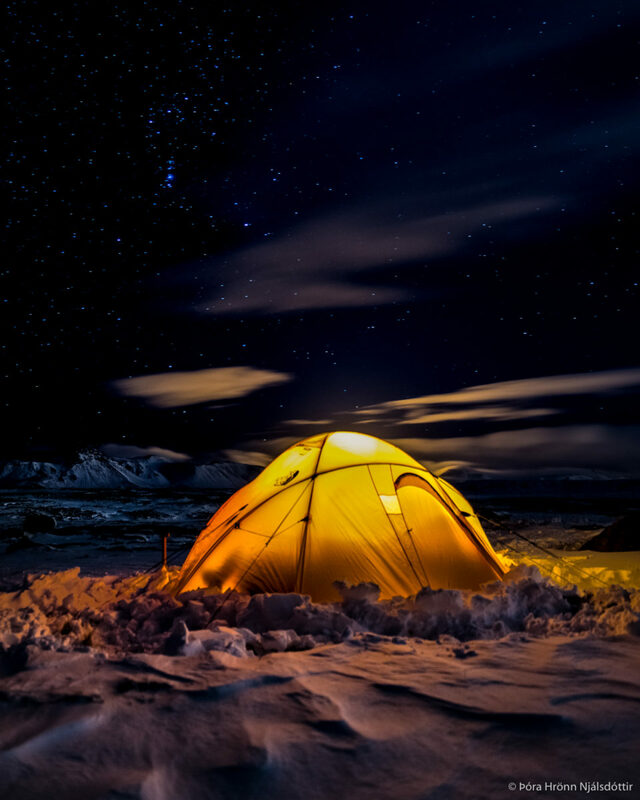 Camping or backpacking in the snow appeals to anyone who enjoys the beauty and peacefulness of a pristine winter wonderland. There are no bugs or crowds, and who doesn’t enjoy playing in the snow? So you might be surprised at how comfortable it can be. Here’s a look at how to get started. 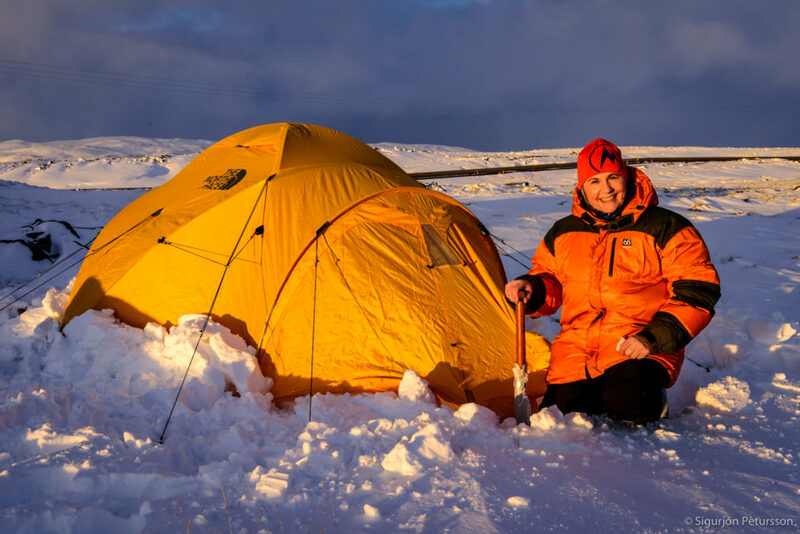 First of all winter outings offer different challenges than summer camping. You must be prepared for more severe weather and shorter daylight hours by having extra gear and additional skills. Especially relevant make a plan before you leave home. Study maps and research the area. Recognize and avoid avalanche areas. Most snow trekking is greatly enhanced by winter or mountaineering boots that are waterproof and insulating. Hats: You lose a significant percentage of your body heat through the top of your head. Gloves and mittens: Another must. Socks: Wear a thin, snug layer next to your skin and a second layer over it, both made of merino wool or a synthetic fabric. An extra-thick sock will not keep your feet warm if it makes your boots too tight. Take extras. Come winter tour with us. We are Photo Tours in Iceland. The Photography Tour Operator. Looking forward to photographing the Northern Lights. Waiting for the Northern Lights to appear. Just finished pitching our tent. Our home for tonight. Good water source nearby—or will you need to melt snow? Make sure you use a bag that’s rated at least 10°C lower than the coldest temperature you expect to encounter. You can always vent the bag if you get too warm. For details, see the REI Expert Advice article, Sleeping Bags for Backpacking: How to Choose. Come winter camp and photograph with us. We are Photo Tours in Iceland. The Photography Tour Operator. I met this cat on a Sunday morning as I went to the local bakery to get some warm croissants for breakfast. As I was walking back home my next door neighbour’s cat was sitting at my door step waiting for an invitation. The Cat’s eyes and whiskers are so beautiful. I grabbed my iPhone and clicked. Cats are similar in anatomy to the other felids. They have a strong flexible body, quick reflexes, sharp retractable claws, and teeth adapted to killing small prey. Cat senses fit a crepuscular and predatory ecological niche. So cats can hear sounds too faint or too high in frequency for human ears, such as those made by mice and other small animals. They can see in near darkness. Like most other mammals, cats have poorer color vision and a better sense of smell than humans. Cats, despite being solitary hunters, are a social species. Cat communication includes the use of a variety of vocalisations (mewing, purring, trilling, hissing, growling, and grunting), as well as cat pheromones and types of cat-specific body language. Cats have a high breeding rate. As a result under controlled breeding, they can be bred and shown as registered pedigree pets. It is a hobby known as cat fancy. 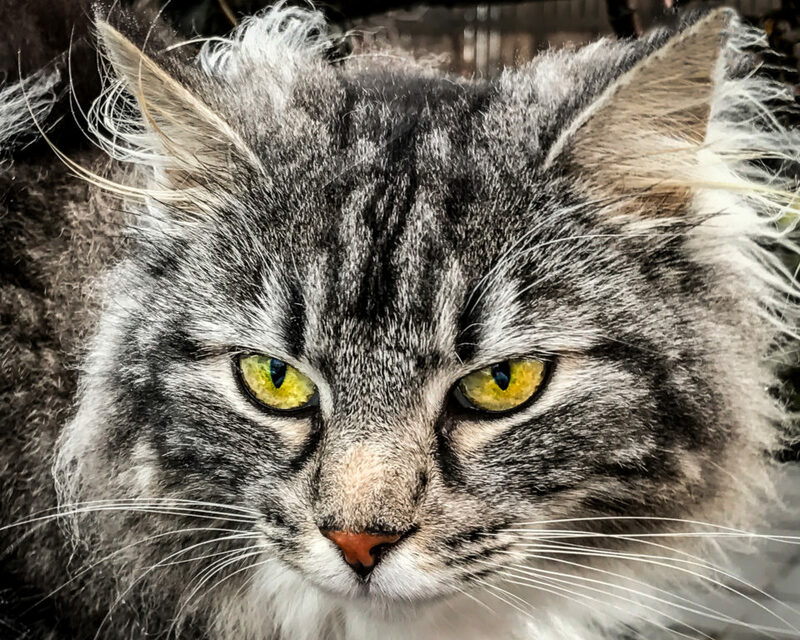 Failure to control the breeding of pet cats by neutering, as well as the abandonment of former household pets, has resulted in large numbers of feral cats worldwide. This has required population control. So in certain areas outside cats’ native range, this has contributed to the extinction of many bird species. Habitat destruction is another factor. Cats have been known to extirpate a bird species within specific regions. They may have contributed to the extinction of isolated island populations. Cats are thought to be primarily responsible for the extinction of 33 species of birds. The presence of feral and free-ranging cats makes some otherwise suitable locations unsuitable for attempted species reintroduction. Come and photograph in Iceland. We are Photo Tours in Iceland. The Tour Operator.